new Locus Map is available so let’s go update. What you’ll get with new version? This is probably the best news for all users whose want to share routes, points or maps between more devices. So you don’t need to connect device to PC over cable. Simply copy any file to your Dropbox folder, start Locus > Menu > Import and choose Dropbox. Of course you can also export tracks or points directly from Locus to your Dropbox folder. 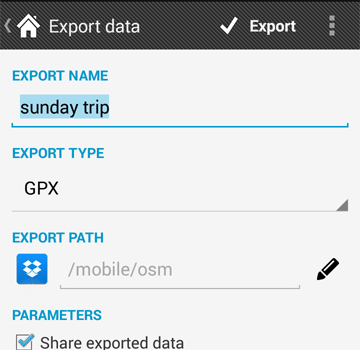 As was mentioned above you can export data into Drobox folder, but you can still export data into SDcard and in new version you can define the output folder for exported data. As you probably know we regularly try to speed up whole Locus with every version. 2.17.0 comes with completely new handling with points or tracks. Now you can show 4 times more points on map and panning will be still smooth. When you open the Locus settings you can find out some changes. Especially notification for Guiding and Navigation is improved. 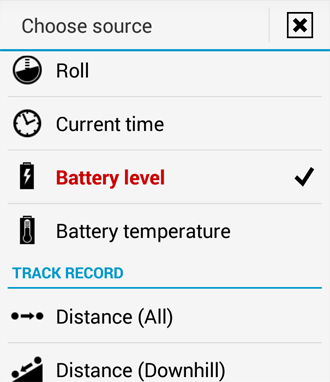 Settings has multi-level structure which enable change the details but also quickly turn-on/off the notification. 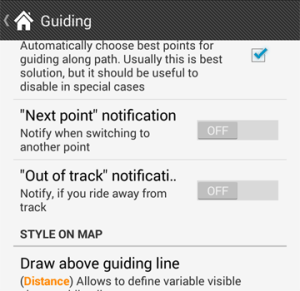 We have to mention improved TTS (text-to-speech) notification during guiding and navigation. New Dashboard offers new icons and automatic captions for items. 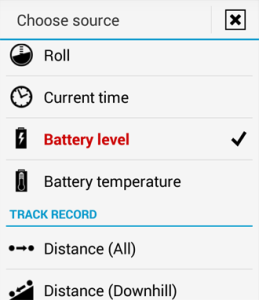 Now you can also show battery status on map screen. The list of fixed issues would be longer then whole article but there are the main fix: solved On-board map calibrator, Augmented reality is available, fixed text escaping during GPX import, fixed crashes on 2.x android and much more. Enjoy new version and feel free to contact us with some issue or troubles.